With a cell phone in every pocket and purse, it’s hard to imagine that there was time when phones were rare. 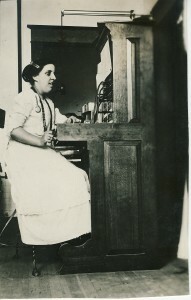 The Christensen family operated the Mashell Telephone Company for decades. 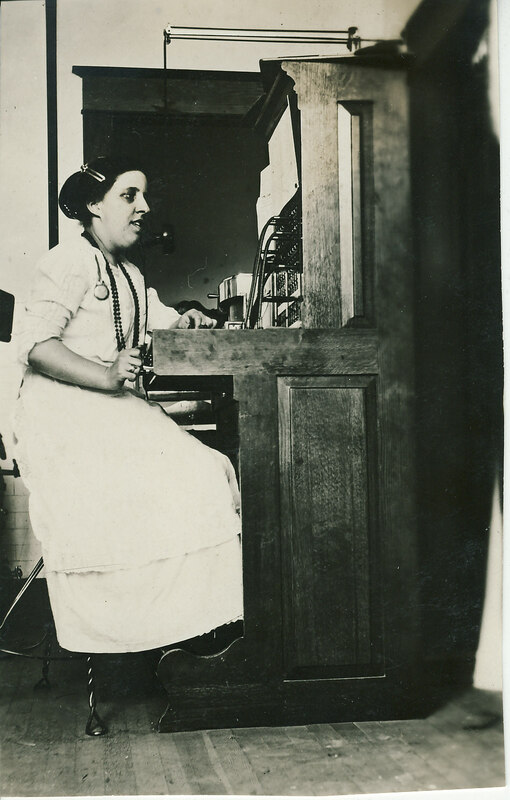 This photo of Katie Christensen shows her hard at work at the switchboard putting through calls. In the days of switchboards, when a call came in a light would go on. The switchboard operator would throw a switch, ask who that person who they wanted to speak with and then manually the connection. We still have the telephone at my folks house where you cranked the handle to call. I remember using it when I was a kid because it was still hooked to the barn. Also, we had a party line with the neighbors well into the 70s, I think. Hi again, this is actually of my Great Aunt Katie Christensen, not Anne. Although Anne is featured in several photographs around this era as well. Katie was Anne Christensen Haynes’ sister. I think, if memory serves, Katie’s full name was Katrina. Her parents, Pete and Maren (Mary) Christensen were originally from Copenhagen, Denmark. Thanks so much! I’ll make the correction! !